Calabasas, CA and Boxborough, MA (October 7, 2013) …National Technical Systems, Inc. (NASDAQ: NTSC) (NTS), a leading provider of testing and engineering services, announced today that it has expanded its ordnance safety testing capabilities to include Hazard of Electromagnetic Radiation to Ordnance (HERO). HERO testing is now a featured capability at NTS’ Boxborough facility. NTS Boxborough is fully equipped to HERO test the Electro-Explosive Devices (EED) in ammunition and ordnance. EEDs are mission critical components in many of the bombs, missiles, munitions, and ammunition carried on and fired from airborne, sea, space, ground or personal weapon systems. Comprehensive testing to Electromagnetic Radiation (EMR) environments is required by the U.S. Department of Defense for successful development and qualification of explosive initiation components. The primary approach to conducting a HERO evaluation is to monitor the current induced response of an EED when exposed to high levels of EMR to determine that the required safety and/or reliability margins are met. Electrical hazards inherently exist in these devices because of fundamental susceptibilities in the firing circuits contained within the EEDs; safety hazards produced by the multitude of electromagnetic environments they encounter during their transport, storage, and deployment. 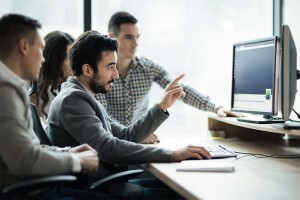 NTS works closely with its Department of Defense (DOD) and commercial defense customers to identify and produce the correct EMR testing environment and monitoring methods to ensure each unique EED device meets the specified HERO testing requirements. HERO testing at the NTS Boxborough facility, which is equipped to handle Class 1.4 explosives, compliments the more comprehensive ordnance and explosives testing done at NTS Camden Operations in Arkansas. The NTS Camden facility is widely recognized as a leading commercial ordnance test and proving ground, providing AA&E engineering services and infrastructure for characterizing, testing, and documenting the performance of weapons, ammunition, munitions, and energetic systems and components to DOD and government standards and specifications. 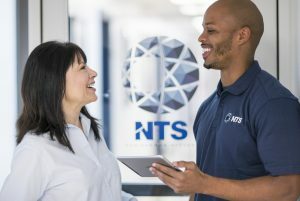 The NTS Boxborough, MA location is a full service engineering and testing facility, capable of managing complex aerospace, defense, telecommunications or commercial programs. Extensive climatic and environmental test capabilities are available, as well as custom test set ups for hydraulic testing and FAA fire testing. Environmental testing disciplines include: independent and combined thermal, humidity and altitude, salt fog, wind driven rain, fire, icing, thermal vacuum and explosive atmosphere. Its large scale dynamics laboratory includes seven electro-dynamic vibration systems, shock towers and seismic systems including independent triaxial, acceleration, shock, static and dynamic loading measurement capabilities. EMI/EMC testing capabilities include radiated susceptibility, radiated emissions, magnetic emissions, conducted immunity, harmonics analysis, electrical power characteristics, airborne and structure borne noise, AC power cross and power fault, and lightning simulation indirect effects, and Electro-Static Discharge (ESD) up to 25kV. Military and aerospace capabilities include Immunity testing up to 200v/m from 10kHz to 40GHz, as well as Electrical Power Characteristics testing for ground, aircraft, shipboard, and submarine applications.